When Katherine Grainger won a silver medal at Rio 2016, she became Team GB’s most decorated female Olympian. So how did she earn this impressive title and what can other athletes learn from her success? Katherine Grainger took up rowing in 1993, while studying for a law degree at the University of Edinburgh. She showed so much promise that she was awarded the Eva Baily Cup in 1996, a trophy presented by the university’s sports union annually in respect of the “most distinguished female sporting performance”. She received the prestigious sports trophy for a second time in 1997, following a superb performance in the U23 World Rowing Championships, which saw her and Francesca Zino win the gold medal in the women’s double sculls. Both women went on to participate in the senior World Championships in France the same year, where they were part of the bronze medal-winning women’s eight. In 2000, at her first Olympic Games, Katherine found herself on the podium, as part of the women’s quadruple scull team which claimed the silver medal. In 2003, Katherine and Cath Bishop won the women’s pairs event at the World Championships and, the following year, they were selected to be part of the British squad heading to the Summer Olympic Games in Sydney. The pair secured silver medals for their display cabinets at the Games, finishing second to Romania. 2005 saw Katherine win yet another World Championship, this time as a member of the women’s quad. The team went on to defend their title at the 2006 and 2007 competitions, before winning the silver medal at the 2008 Summer Olympic Games in Beijing. The next few years brought more World Championship success for Katherine, in the form of a silver medal in the 2009 women’s single sculls event, and gold medals in the 2010 and 2011 women’s double sculls category with her new partner, Anna Watkins. At the London 2012 Olympics, Katherine and Anna finished the final race in an impressive time of 55.82 to top the podium, giving Grainger her first Olympic gold. Following her Olympic victory, Katherine took two years off from the sport, during which time she completed her PhD in criminal law. However, she returned to train with the British squad and, in 2015, was paired with Victoria Thornley for the double sculls event. Katherine and Vicky secured the bronze medal at the 2015 European Championships and another bronze at the World Cup in Italy. After a disappointing fourth place finish at the 2016 World Championships, both women tried to switch to the women’s eight for the forthcoming Olympics in Rio, but weren’t selected. They weren’t even named as part of the initial British team. “Two months out of the Olympics, it’s not the place you would want to be,” Katherine told the Independent. In the end, the coaches decided to select the pair for the double sculls. The decision proved to be the right one, as Katherine and Vicky finished just behind Poland in the final to win the silver medal. The row also earned Katherine a place in the record books. She now tops the table of female British Olympic medal winners, with a collection consisting of one gold and four silvers, pushing Kathleen McKane Godfree, a tennis player who won a gold, two silvers and two bronzes in the 1920s, into second place, and Rebecca Adlington, who claimed two golds and two bronzes in the pool, into third. So what can Katherine’s success teach us? If there’s one key lesson to learn from her story, it’s the importance of hard work. Not only has Katherine managed to compete at the highest level during the course of her sporting career, she has also juggled training with achieving academic excellence. “There were many, many dark days if I am honest where I couldn’t see this happening so to be standing here, finally, in the Rio sunshine with a big medal around our necks, has made it all worthwhile,” she said. Are you a rowing fan? 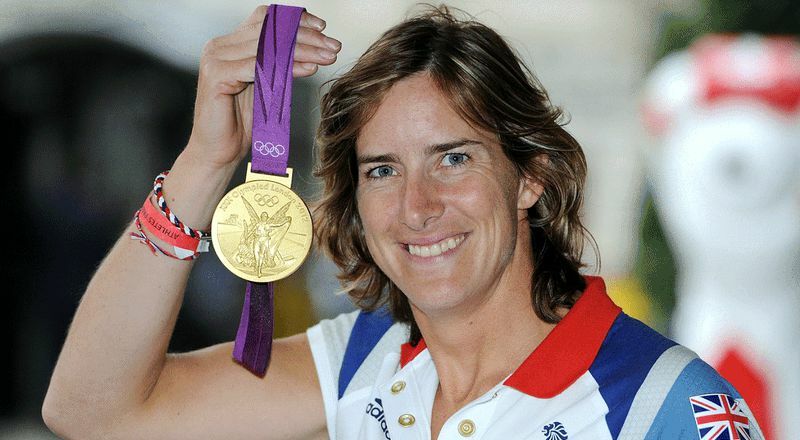 What’s your favourite moment of Katherine Grainger’s career? Tell us in the comments section.